Ruth Reed the new president of RIBA (since 1 Sep) has criticised Prince Charles’ involvement in Chelsea Barracks and the planning process on BBC Radio 4. As her comment related to Chelsea Barracks, which Westminster City Council would have considered at one of its democratic planning meetings, the deputy leader and cabinet member for the built environment at Westminster City Council, Cllr Robert Davis’ response is below. Cllr Robert Davis, Westminster City Council’s Deputy Leader and Cabinet Member for the Built Environment, said: “In light of the new president of the Royal Institute, Ruth Reed, criticising the Prince of Wales for his involvement in Chelsea Barracks I would like to set a few things straight. “Contrary to Ms Reed’s comments the Prince has not derailed the democratic planning process but has actually encouraged a healthy debate which is part and parcel of the planning process. Our democratically elected planning committee, which is the accountable body for these decisions, would have considered all views without fear or favour. “Nearly 500 people wrote in to the council to make their views known. Indeed, Prince Charles’s comments may well have empowered people to enter the debate as it made them aware that planning is not some mysterious process behind closed doors, but is conducted in public and everyone is entitled to a view, be they a peer of the realm, a prince or a private citizen. “I want to assure Ms Reed that Westminster City Council would have had regard to all the views expressed to us, from whatever quarter, alongside the professional advice from our own planning officers, had the committee gone ahead. Lord Rogers, 75, a Labour peer, has now called for a national inquiry into the Prince’s ‘unconstitutional’ behaviour. ‘The prince always goes round the back to wield his influence, using phone calls or in the case of the Cherlsea barracks a private letter,’ he told the Guardian. The Daily Mail reports: Mr Rogers said the Prince’s actions threatened foreign investment in Britain at a time when it was needed more than ever. He also questioned the prince’s motives in recommending an alternative design to the Qataris designed by his own charity The Prince’s Foundation for the Built Environment. ‘Bringing in the Foundation, his own boys if you like, is unbelievably questionable’, he added. Charles, an arch traditionalist, was incensed that the modernist design was across the road from Sir Christopher Wren’s Royal Hospital, home to more than 300 Chelsea Pensioners. Rogers, who is behind some of the world’s most iconic buildings including the Pompidou centre in Paris, London’s Lloyds building and the notorious Millennium Dome, has clashed with the Prince in the past. In 1987, his proposals for Paternoster Square by St Paul’s Cathedral were abandoned after the Royal described the design as more offensive than buildings demolished by the Luftwaffe. He struck again when Rogers was in contention to build the Royal Opera House in Covent Garden and his plans were again abandoned at the eleventh hour. 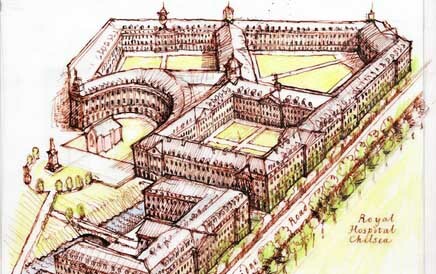 Rogers said the Chelsea barracks could have been ‘one of the best schemes my office has ever produced’. Speaking from his office in Hammersmith, West London, he spoke of the shock of hearing his hard work would go to waste. The architect told the BBC there could be “a dangerous political clash” unless the power of the royals is re-examined. Clarence House declined to comment on Lord Rogers’ remarks. The 12.8 acre Chelsea Barracks site in west London is owned by Qatari Diar, the state of Qatar’s property investment arm, which is headed by the country’s prime minister. 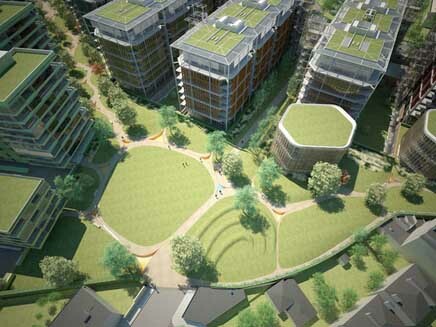 The developer had planned to spend £1bn building a complex of 552 flats in 17 blocks. It had favoured Lord Rogers’ modernist glass and steel design, but in March, the Prince of Wales told Qatar’s royal family it was “unsuitable”. He said he preferred an alternative classical design for the site by architect Quinlan Terry. Last week, just days before it was due to be considered by local planning officers, the developers announced that the application had been withdrawn. Now, in an interview with the BBC’s Today programme, Lord Rogers has claimed that Prince Charles overstepped his remit. “I think there’s a dangerous precedent that the Prince has entered into, which is very much about how he sees style,” he said. “And the Prince is not willing to debate. If the Prince does not debate there must be a question over why he can participate in political situations. Lord Rogers said a committee of constitutional experts should be set up to examine “the powers of the Prince and his ability to change the political direction”. “If we are to avoid a dangerous political clash then we need someone to solve the problem at a level which is not about this site, but at the level of royalty and their say in political matters,” he said. 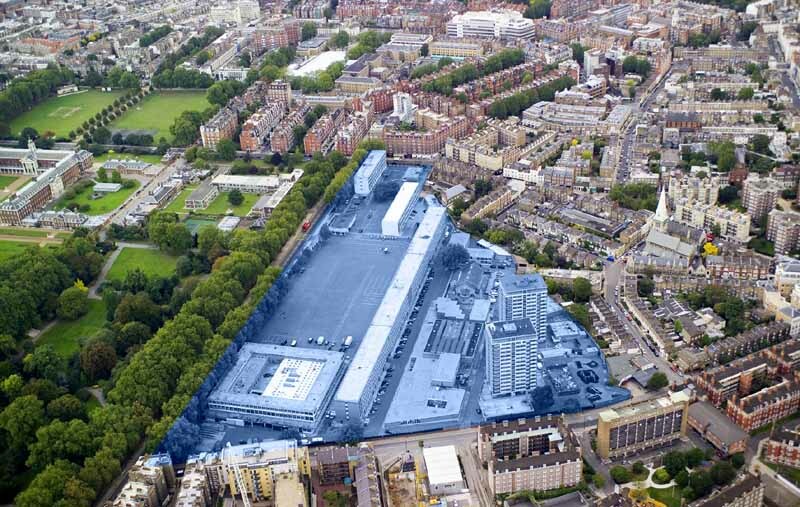 Lord Rogers said he doubted the Chelsea Barracks site would be developed for many years. He also warned that other foreign companies could be put off investing in the UK for fear the prince would take a dislike to their building schemes. Lord Rogers has designed some of the most influential buildings in the world, including the Lloyd’s building in the City of London. Prince Charles’s views on architecture have caused controversy in the past. Just last month architects threatened to boycott his speech to the Royal Institute of British Architects after the Prince sent a letter to the Chelsea Barracks developers asking them to reconsider their decision. In the speech the Prince attacked “modernist” architecture and called on the industry to design buildings built to last and which put the needs of the people first. The Prince’s love of traditional architecture and passion for the environment can be seen in the development of the village of Poundbury. An urban development project based on the Prince’s book ‘A Vision of Britain’, the site in Dorchester now houses 5,000 people and is complete with eco-housing built to traditional design. His interest in traditional architecture has also resulted in the establishment of the Prince’s Foundation for the Built Environment. But his commitment to architecture will not help pacify his critics, many of whom see the Prince as out of date. The design by Richard Rogers has been abandoned in a shock move by The Qatari royal family. The Chelsea Barracks Designs by Richard Rogers were to be considered by the planners next week and had won support from Westminster council officers and CABE. The planning application has now been withdrawn. Prince Charles had written privately to the Qatari prime minister, Sheikh Hamad bin Jassim bin Jabr Al-Thani, asking him to cancel the “unsympathetic” and “unsuitable” Chelsea Barracks design by Richard Rogers. Apparently the Qatari royal family had become concerned at both the amount of opposition and the kind of opponents involved, ie key figures in British society.